July 10, 2011 - Federal Aviation Administration (FAA) Administrator Randy Babbitt announced that David Grizzle will be the chief operating officer of the FAA’s Air Traffic Organization. “David is the right person to take on this critical challenge. He has a unique ability to manage complex situations and the leadership skills to bring people together and get the job done,” said U.S. Transportation Secretary Ray LaHood. "The Air Traffic Organization is involved in a once-in-a-generation transformation. I could not be more honored to be a part of the ATO team,” said Grizzle. As chief operating officer, David is responsible for leading the FAA’s 35,000 air traffic controllers, technicians, engineers and support personnel who keep our nation’s air traffic system moving safely and efficiently, 24 hours a day, seven days a week. The Air Traffic Organization (ATO) is the operations arm of the Federal Aviation Administration. ATO is America’s air navigation service provider. Unlike most government agencies, the ATO is set up as a performance-based organization whose customers are commercial and private aviation and the military. ATO employs more than 35,000 controllers, technicians, engineers and support workers. With more than 7,000 takeoffs and landings per hour, and more than 660 million passengers and 37 billion cargo revenue ton miles of freight a year, ATO safely guides 50,000 aircraft through the national airspace system every day. Nine service units make up the ATO; En Route and Oceanic Services, Acquisition and Business Services, Communications Services, Finance Services, NextGen and Operations Planning Services, Office of Safety, System Operations Services, Technical Operations Services, and Terminal Services. Air traffic controllers in En Route and Oceanic Services manage aircraft at the highest levels over the U.S. and far out into the Atlantic and Pacific oceans. Controllers at 20 air route traffic control centers coordinate with Terminal, Technical Operations and Systems Operations services to provide seamless air traffic services. En Route and Oceanic Services provide air traffic services to ATO customers operating in the national airspace system, as well as international airspace assigned to U.S. control. This unit works with Terminal, Technical Operations and Systems Operations Services to provide air traffic services that meet customer target levels of efficiency, safety and security. It creates validated operations and programmatic requirements for En Route and Oceanic air traffic services that provide for the safe, secure and efficient use of navigable airspace. It establishes and maintains policies, standards and procedures to enable safe, secure and efficient En Route and Oceanic operations. It also maintains and reports on operational performance metrics and conducts trend analysis. En Route and Oceanic Services is nearly 9,000 people strong. In 2006 it supported 47 million operations in the national airspace system. They are responsible for controlling more than 5,600,000 square miles (14,500,000 km2) of airspace in the U.S. and more than 24,600,000 square miles (64,000,000 km2) of airspace over the oceans. This includes control of traffic in the South Pacific to the Northern Polar Routes, the North Atlantic, the Caribbean and the Gulf of Mexico. They interface with more than 18 air navigation service providers. Acquisition and Business Services covers a broad range of responsibilities. The unit is responsible for acquisition policy, contracting and quality assurance services. It also provides information technology services and human resource management services. In addition, it oversees flight services program operations, workforce development and controller training. Communications Services uses all types of media to keep ATO employees, Congress and the aviation industry well-informed about developments in the organization. Communications is responsible for, providing timely, relevant ATO information to all ATO audiences, keeping employees, owners and customers informed about and supportive of the objectives and progress of the ATO. The unit provides communications services, assets and policies related to the ATO, liaison to customers, owners, employees, Government and Industry Affairs and FAA. Finance Services is in charge of financial metrics, comparative analysis productivity measures, business case evaluation and competitive sourcing. Their management has helped the ATO establish credibility with Congress and enabled the performance-based organization to deliver services to customers more efficiently. NextGen and Operations Planning works to get the ATO ready for the air traffic of tomorrow and the strategies and solutions that achieve national and international goals by taking the lead on developing the Next Generation Air Transportation System. The Office of Safety monitors the ATO’s transcendent level of safety by tracking, reporting and analyzing performance. It also develops policies, processes and training for safety improvement. System Operations is responsible for traffic flow management, real-time evaluation of air traffic control services and coordination with other government agencies on air transportation security issues. More than 9,000 Technical Operations employees make sure that more than 41,000 pieces of equipment operate every day. Air traffic controllers in Terminal Services are positioned in TRACONs and airport towers to guide aircraft in and out of airports across the country. The Air Traffic Organization Strategy indicates where the ATO is going, how it’s going to get there, who is involved, and how it all fits together. While the ATO has adopted the Strategic Management Process (SMP), a proven business management concept used by high-performing corporations, it is not a fill-in-the-blanks template. Rather, the SMP is a framework that the ATO can use to effectively formulate and implement its strategy. Part of the process is the visualization of the critical drivers of success in the form of a Strategy Map. The ATO’s Executive Council has developed four strategic pathways. Each pathway is a cluster of related objectives that are important to the ATO’s Owners (Congress, the Office of Management and Budget, and the Office of the Secretary of Transportation), Customers (commercial and cargo airlines, business aviation, general aviation and military aviation), the Processes needed to meet customer needs and owner expectations, and the Employee and technical capabilities that must be developed for the internal processes to work well. A critical component of the ATO’s strategy is change, which is necessary to meet the objectives of the organization and prepare the FAA, the ATO and its employees for the transition to NextGen programs. The Air Traffic Organization was created as the operations arm of the FAA by executive order of President Bill Clinton in December 2000 to apply businesslike practices to the delivery of air traffic services. A few months later Congress passed enabling legislation which laid the foundation for the creation of a performance-based organization to manage the national airspace system, and the hiring of a chief operating officer to lead it. The FAA began designing the ATO in 2001 but was delayed by the impact of 9/11. Implementation began in 2003 and Russell Chew, a former American Airlines pilot and system operations manager, was hired in August. The official formation of the ATO was announced in November 2003. Chew resigned in February 2007. FAA Deputy Administrator Bobby Sturgell was appointed acting chief operating officer of the ATO during a search for a replacement. 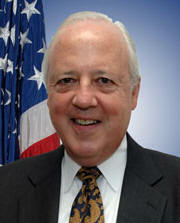 Hank Krakowski became the ATO's Chief Operating Officer in 2007 and tendered his resignation in April 2011.